Mom Funk (n): A dejected mood felt by mothers. 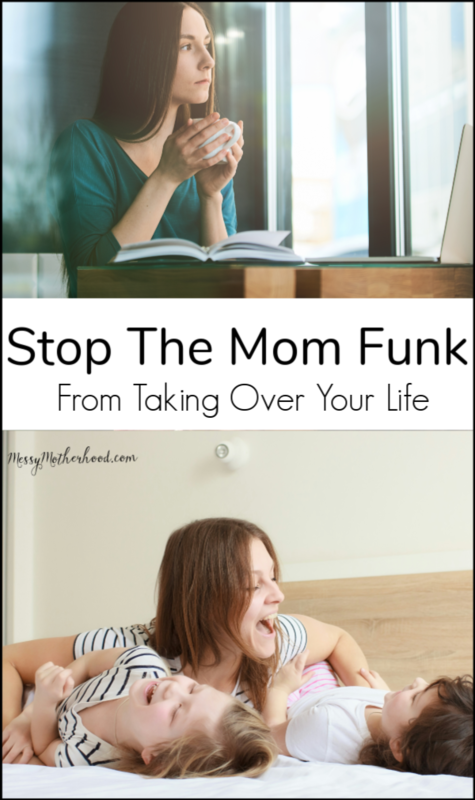 Symptoms of a mom funk include sadness, frustration, anger, stress, overwhelm, and extreme need to be left alone. Instead of crying all day long and not being able to get our of bed, like depression, Mom Funks are like being in a bad mood for days, weeks, months. Read more about Mom Funks here. I had been snippy, short-tempered, and moody. The negativity in my soul had been building up, just waiting to explode. Looking back, I’m aware that my three-year-old son had no idea what happens to a computer when it gets coffee spilled all over it. I know he didn’t realize that playing on the couch would make the coffee in my cup slosh over the sides and onto my brand new computer. I was the fool holding a full cup of coffee over my computer with a three-year-old sitting next to me. But the moment that coffee hit my computer, a switch flipped in me and lost it. LOST IT. 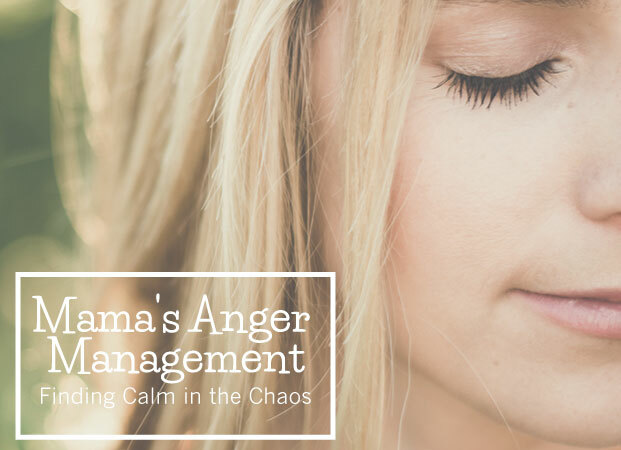 I was so flooded with anger, that I had no idea how hurtful I was being. I screamed, yelled, and raged. 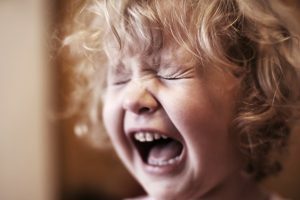 I launched verbal bullets at my baby…my three-year-old baby. I grew big and green like the Hulk . I smashed things and deep roars thundered from the depths of my soul. This was unlike any kind of anger I had ever felt before. It was rage. Seconds after the lashing, I sat on the floor in a puddle of tears and wept. The hangover from such intense emotions overtook and my body shook as I cried. I looked up at my baby and saw his pain and his fear. His fear of me. Then the guilt took hold, and I cried even harder. I crawled over to my boy and held him as we both wept. I’m a freakin’ Children’s Mental Health Therapist…I know how to cope with big emotions. Yet, there I was out-of-control. Something had to change, I had to change. Sitting there on the floor, my son in my arms, I made a promise that I would never, ever yell at my child like that again. It’s been over 5 years since that life-changing moment and I have kept my promise. The Mom Funk is strong. It holds you down and covers you in thick negativity that’s hard to break through. But it is possible to shake off the funk. I know, I’ve done it. Yes, The Funk is strong, but it’s not a life sentence. Getting out of the Mom Funk begins with a choice. Tell yourself that you’re done…D.O.N.E…you’re done being in a funk and you will take active steps to become a happier person. Big changes like this are a journey not unlike weight loss. It starts with noticing there’s a problem and deciding to make a change. You must commit to this process and be fully open to change. Once the commitment is made, it’s time to get going. 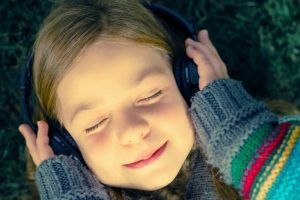 I recently listened to the audiobook of “A Year of Yes” by Shonda Rhimes . In it, she says that it doesn’t matter what you do, just do. Even if you don’t know where you’re going, just get started. She compares it to riding a bike. It’s much easier to steer a bike if you’re already moving pretty fast, you can turn that bike and let it take you where ever you want it to go. When you try to turn that same bike at a standstill or when you’re going really slow, it’s difficult and you will fall over. Being in a Mom Funk means you’re at a standstill. You’re not going anywhere. It almost feels like you’re walking through glue most days. Mostly, you sit on the couch, yell directions to your kids, and wish you could just escape your life and sleep away the day. So to truly get out of the funk and to start living a better life, you must start. Just start. Jump on your bike and get moving. Self-care is the jumpstart you need. Here are the first baby steps I took to get out of the funk. I went outside every single day. I was aware of my time on screens when my children were around. I said “yes” when my children asked me to play. Those helped, for sure, but starting my self-care journal is the single most effective thing I have done to kick the Mom Funk to the curb. Quickly after discovering how deep I was in my Mom Funk, I knew I had to start bringing joy back into my life. My Mom used to tell me to “do the things that make your heart sing”. Well, that was a problem. You see, I had no freakin’ clue what made me happy, what my hobbies were, or how to spend time alone. It’s impossible to do self-care if you don’t know what makes you happy! So, I got a journal and I made a list on the very first page. I titled it “Things That Make Me Happy!” Simple huh? The Mom Funk is evil though, and it zaps all the joy right out of your heart. So making a list of things that made me happy was not easy at first. But I forced myself to do it anyway. I had made a commitment and I was going to do this! I sat and thought about every single thing that used to make me happy and wrote each one on my list. Small things, big things, it didn’t matter. The key was they had to be things I could do, not just things I like. For example, I didn’t write down my kids, I wrote playing with my kids. Playing with my kids is something I can actually do. The list started off pretty small, seriously small. I think I had 5 things on my list that first day. But over time, my list grew. 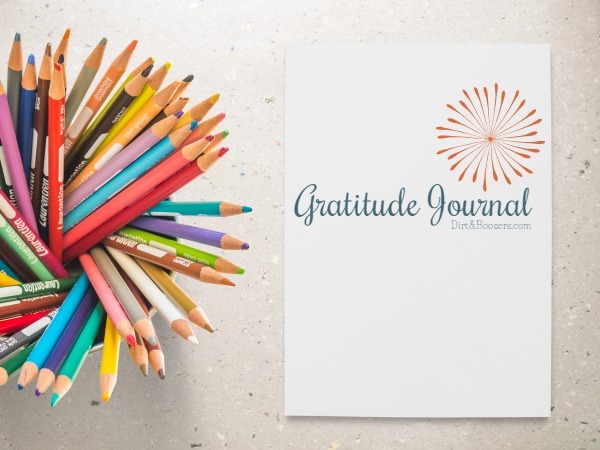 Each day I’d think of something new that made me happy (my gratitude journal helped me with this) and I added it to the list. I challenged myself to do at least one thing on my list every day. Some days I could only muster enough time and energy to do just one, other days I could do several. Then at the end of every day, I’d write down all the things I did on my list that day. This helped me stay accountable to myself and it made me feel accomplished. Because of The Mom Funk, I hadn’t felt accomplished in a long time. My journal made me feel good. As the days passed, I started to feel happy, and slowly the Mom Funk began melting away. Two years have passed since The Big Funk and I’ve learned so many lessons. Life is better when you’re not funky. Seriously, everything about life is better. 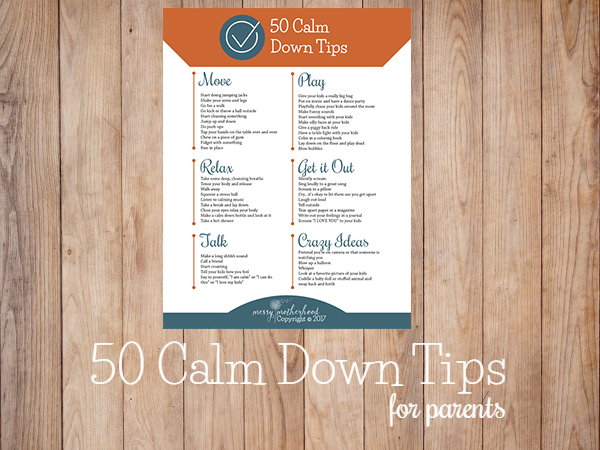 My marriage is stronger, my kids are happier, and our whole family is calmer. Now, it’s not all sunshine and roses all the time, that’s impossible, but I’d say we’re pulling 80% happiness these days. Happy moms yell less. A happier mom is a mom that doesn’t get angry and freak out every time her child makes a mistake. A happy mom is able to quickly forgive. A happy Mom doesn’t take everything personally and can see past her own emotions to the emotions of her children. A happy Mom doesn’t yell…as much. There are still funky moments. Life ain’t perfect. You’re human and you will get upset, angry and frustrated. Things will still hurt you and make you sad. That’s life. But when you have a daily practice of self-care, those things don’t knock you down quite so far. It’s easier to pick yourself up, dust off your yoga pants, and move on. You can get out of the Mom Funk. It is possible. Just like any other life-changing decision, it takes effort. So, if you’re feeling angry, lonely, and sad, take a few small baby steps at a time to bust out of the funk. Is it The Funk or Depression? The Mom Funk is strong, but there’s something even stronger. Depression happens to many, many people yet it can be hard to self-diagnose. It becomes such a normal part of life that it’s hard to recognize that you’re depressed. A Mom Funk can look a lot like Depression. They both make you feel sad, unproductive, and angry. But depression is something much different, much deeper. As you’re reading those, if you thought “oh my gosh, that’s me!” I highly suggest you go see your family doctor or therapist. Even if you just noticed yourself in a few of these symptoms, I’d still encourage you to go. You do not have to have ALL these symptoms to be depressed. Remember, your family loves you and you deserve to be happy. I love this, part of my mom funk feeling is the enormous guilt after I say No to my kids or put something off. I will definitely try to start journaling more. Thanks for sharing this post. Just what I needed…I was seriously thinking I had depression issues even though I have never felt that before. I am definitely going to try the journal thing? Best article ever. I so needed this. I think I’ve been in mom-funk for a year. It’s been a hard year for me and as a result everyone else too. I will be putting all of this into action immediately. I want to be normal again. I feel like I’ve been in a mom funk for a few years now. Thank you for the advice. I needed it. I hate feeling like such a failure as a mom. My oldest just told me the other day how she wishes I was a nicer mom. It just made me cry so hard. Reading your post- it was like reading myself. Exactly my daily life… not proud of myself though. time to change, life is too short. Thank you. You’re welcome. I hope it helps and that you find some joy again soon! Thanks for this…i needed to know that I’m not alone in experiencing these emotions of being bound by responsibility for others, overwhelmed, un-accomplished. 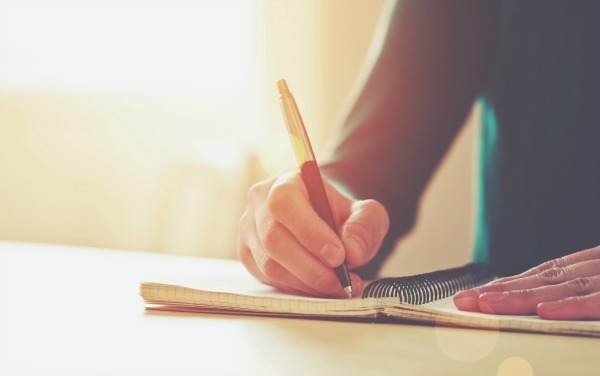 Your article has awaken me to be better for myself and my family. I will do better because now I know I can. Thank you for the email today — it has been difficult for me the past two days, also. It doesn’t help that I’m trying to come down with a cold, too. It has helped me to do something concrete to help others — I’m donating to a couple of charities that I believe in, but haven’t supported in a while. I still feel sad and anxious, but I know I can at least do something if I can’t do everything. Anyway, thank you — I wanted to know that you reached someone today. I’m a Grandmother who adopted my now 11 yr old great nephew. I am absolutely all of the above. Hoping to get out of this funk. Have just felt so overwhelmed & hopeless. He is not an easy child. Hoping to climb out of this awful feeling funk! What an AMAZING article that I wished I had gotten when I was going through my MOM Funk and didn’t know what my deal was. I agree, the symptoms are scary because they can feel depressive but aren’t. Every mom should know its part of being a mom and everybody goes through a funk whether they are a mom or not so why should be any different! Thanks for this!